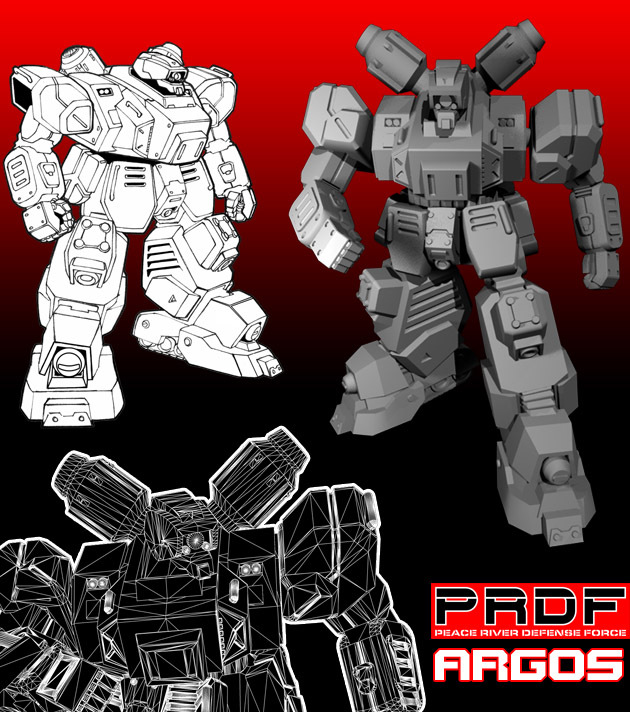 Check out the Argos 3D model by our 3D Scupltor, Jason Geyer, shown with original line art. The model is back from rapid prototyping and master molds are being made this week. We should have the first castings later this week to show. Then production molds will be made and we`ll have the miniature available to order later this month, for all our Peace River players.